A pretty map of France divided into Provinces. In the top right hand corner is a list of the Kings of France from the year 420. 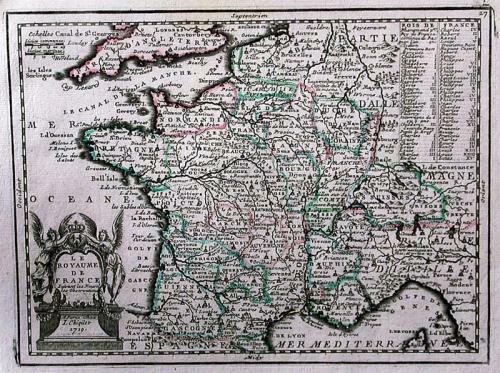 Unusually, included with the map is an additional explanatory sheet of the engraving.